Have you ever heard of dental crowns? These are tooth-shaped caps that the dentist places over the existent tooth to enhance their appearance and protect them from further degradation. Most dentist will advise you to use crown caps once your tooth gets cracked, worn down or breaks due to one reason or another. It can also be used for discolored and misshapen tooth, failed dental implants or fillings can also get a remedy from crowns as a substitute to porcelain veneers, which are slightly expensive. Dental crowns are one among the many services that dentists provide in the global market. Below is an image that will give you some insights on the appearance of dental crowns. Currently, this technology undergone artful crafting for blending seamlessly with the natural teeth to the extent the patients forget having the caps and the length of time it lasts. You may reach an extend where you don’t remember having dental crowns on. 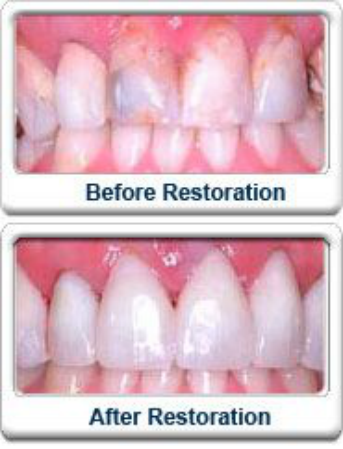 However, these restorations eventually wear out and bring forth the common question “how long do crowns last?”. It is the right idea for you to watch out for warning signs because repetitive cosmetic dentistry can traumatize a compromised tooth. All patients with these crowns should have the right information about their average lifespan. This article looks on the average lifespan of dental crowns in front teeth. In most cases, dental crown on the front teeth will last up to fifteen years. However, some crowns have stayed for almost thirty years. Since crowns need to last for at least five years, insurance companies with dental covers will willingly pay for crown replacement after the five years. Many patients will be pleased to find out that these crowns can last a lifetime if cared for well. It is good to understand that dental crowns are subject to cavities and fractures. Therefore, it is essential to take extra care when flossing and brushing around crowned teeth for preventing them from often replacement. When veneers or all-ceramic crowns are present, it is advisable to put on a mouth guard for protecting the porcelain from fractures and prolonging the crowns lifespan. Replacement of the crown will depend on the wear and tear amount you expose the crown to such as biting and chewing forces, tooth grinding, and accidental trauma. It will also depend on how well you will keep the teeth free of dental plaque. According to recent researches, the average lifespan of all front teeth dental crowns is 94% in the first five years and 90% for ten years. It is not easy for a crown to fail by itself, but easy for the patient to fail it. 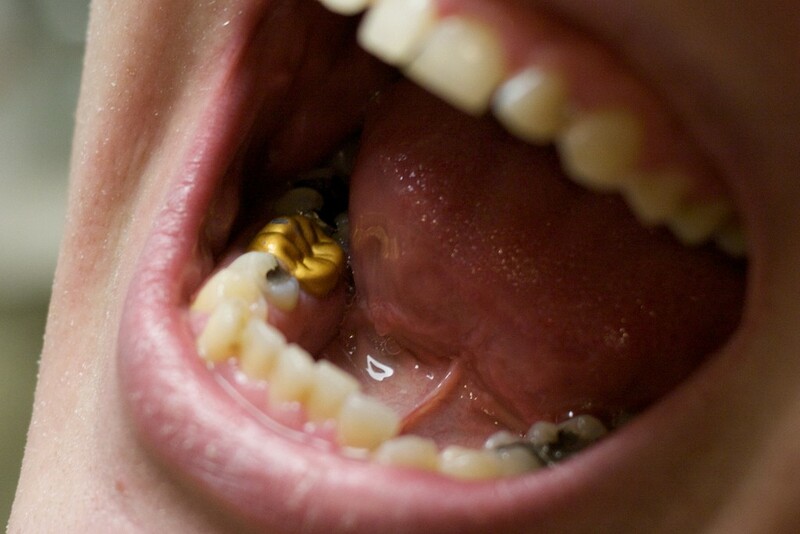 Dental crowns, whether porcelain on metal, gold, or all porcelain does not decay. This is not to mean that tooth neglect of the right hygiene will not lead to decay. Decay as a result of reduced tooth hygiene is the commonest cause of failure of the crowns. Longevity of the crown can also vary as a result of the material that this cap was manufactured with like gold, porcelain, and metal. The location in the mouth, whether in the front or the back tooth and the amount of tooth that remained when it was being prepared for crowning. Even though crowned front tooth does not require special treatment, just like any other tooth, they need protection from decay and protection. Use the tips below to help in keeping your crown in the finest shape. 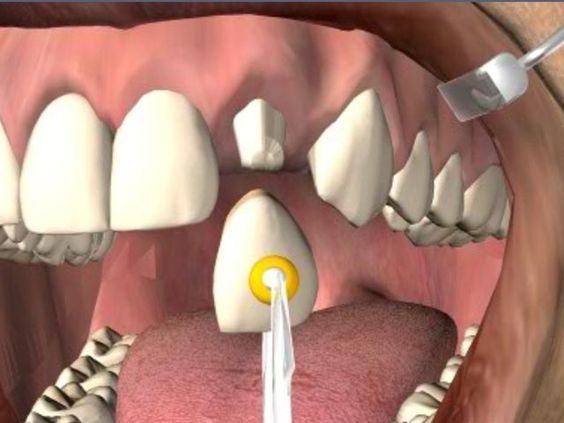 • Provide special attention to the location where your gum line meets the crown while brushing. • Wear custom made night guards if you grind or clench your teeth. • Avoid biting hard objects that can damage your natural teeth and the crown. Make sure that when you go for regular checks, tell the dentist to check for instances of damage, decay, bite issues. In the case, you have front tooth or crown damage, and you need crowning, schedule an appoint with the right dentist for achieving optimal oral health and crowning. Even though the dental porcelain is brittle, you cannot rule out breakability. The longevity of these tooth caps will depend on the stress you will expose it to and your personal hygiene. The commonest reason for crown cracks and chips is when you clench or grind your teeth. When you keep clenching and grinding your teeth your crown will fail sooner than the projected lifespan. Other bad habits such as fingernail biting, ice chewing, and opening plastic packages with your teeth will also hand your crown with excessive pressure. It is always tempting to use your tooth as a tool. However, when you want to extend the crown’s lifespan, avoid these behaviors. Similarly, poor hygiene will also expose your clown to a risk. On itself, the crown cannot decay, but inadequate flossing and brushing can lead to decay growing below the crown. This can lead to for the need of crown replacement or root canal. A dental crown for the front teeth can break or crack if made badly before attaining its average lifespan. Although these odds are rare, try giving yourself the best odds by choosing a skilled, and experienced dentist who will be able to deliver long-lasting and good-looking crowns. Can a Complication Arise from Crown Placement? Although it is rare to experience complications from crown placement, there is a possibility of experiencing sensitivity or discomfort. The nerves within the teeth with crowns may experience sensitivity. In this case, you need to purchase toothpaste that is custom made for addressing sensitivity. In case you experience pain while biting downwards, the crown might be very high. A remedy for this situation is easy to find. It involves calling your dentist because wrongly placed chips can fall off or loosen up in the mouth. In rare occasions, the patient can face a metal allergy. How to Prepare The Front Teeth for Crowning. Preparation for official crowning will require two or more visits to the dentist. You will have to undergo an x-ray for viewing the tooth and the surrounding bone. 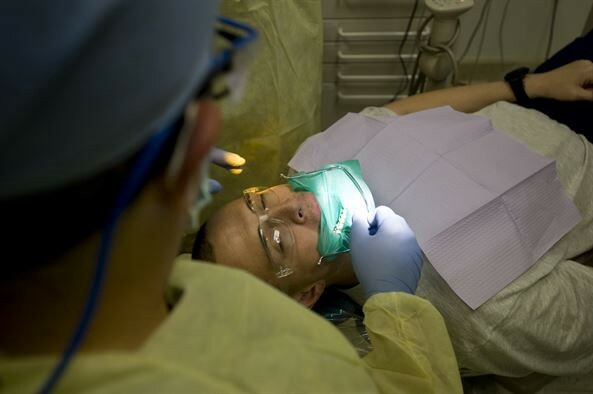 If an infection and significant decay are seen, you will have to take a root canal treatment. The tooth that requires the cap will then be filed for finding room for the cap. Porcelain-fused-to-metal caps all-porcelain crowns require more filing as compared to all-metal crowns. The filing material is usually used for building the tooth structure in case of significant damage or natural tooth decay. A putty or paste impression goes to the reshaped tooth for ensuring that the crown fits properly. All these ideas take place in a laboratory that manufactures the caps. You may have to use a temporary crown for almost three weeks as a permanent cap is under production. On the following visit, the temporary cap is removed, a fitting cap checked, anesthetic numbs the teeth, and the new crown is cemented permanently. A crown is usually a medical solution, and an insurance company will offer to stand in for 50% of the bill. However, the cost of dental crowns varies as per the materials used in their production, location, size, local rates, preparation work, and the training of the dentist.